LANSING — For every $1 that’s gone to support the two Democratic nominees for the Michigan Supreme Court, the two Republican nominees have had about $34 in support. 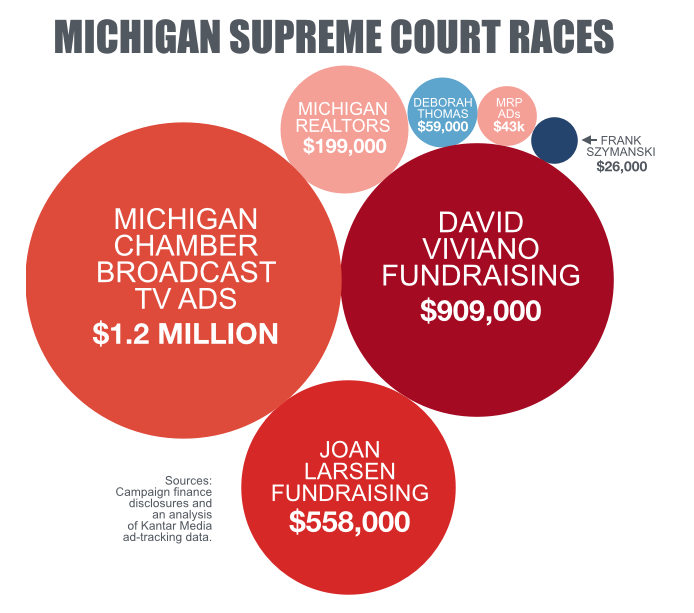 According to the Michigan Campaign Finance Network’s analysis of fundraising records and broadcast TV data, the GOP nominees for the state’s high court have seen more than $2.9 million in support for their campaigns with just days remaining before Tuesday’s election. In comparison, the Democratic nominees have seen just $85,886 in financial support. The overall spending total in the Supreme Court races is lower than it’s been in past years. However, the imbalance in spending between the two sides is more stark in 2016 than it’s been in recent elections. 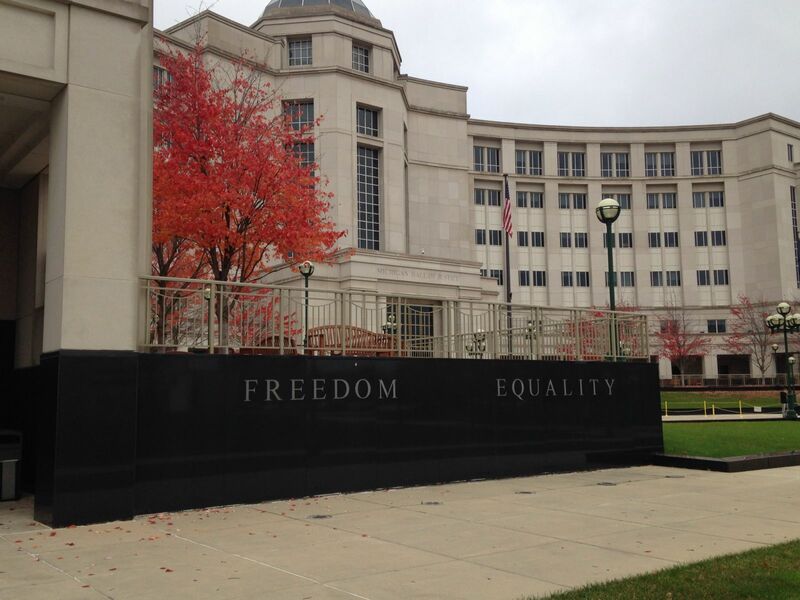 On Tuesday, Nov. 8, Michigan voters will choose who will fill two seats on the seven-member Michigan Supreme Court. Currently, GOP-nominated justices hold five of the seats on the court. Justice Joan Larsen, an incumbent and GOP nominee, who was appointed to the court by Gov. Rick Snyder in 2015, is running against Wayne County Circuit Court Judge Deborah Thomas, a Democratic nominee, for a partial term ending Jan. 1, 2019. Justice David Viviano, the other incumbent and GOP nominee, is running against Wayne County juvenile court Judge Frank Szymanski, a Democratic nominee, for a full eight-year term. According to campaign finance disclosures, Larsen’s campaign has raised $558,499 this cycle. Viviano’s campaign has raised about $909,273. Among the top donors are the Michigan Chamber of Commerce PAC, which has given $25,000 to each of the GOP nominees, and the Michigan Farm Bureau PAC, which has given $15,000 to each of the GOP nominees. Thomas’ campaign has raised just $59,498 this cycle. 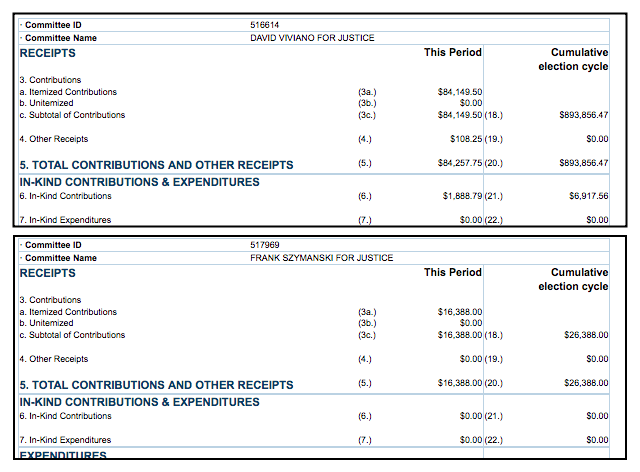 Szymanski’s campaign has raised even less at $26,388. Szymanski hasn’t reported a single contribution of more than $5,000. Thomas has received $10,000 from the United Auto Workers Voluntary PAC and $10,000 from a PAC for the American Federation of State, County and Municipal Employees. Because the ads don’t explicitly tell voters to vote for Larsen and Viviano, the donors who contributed money for the ads don’t have to be disclosed. The ads appear to continue a long-standing tradition of anonymous donors attempting to influence Michigan’s Supreme Court races. In 2012, for example, $18.9 million total was spent on races for three seats on the court. Of that amount, $13.8 million was spent on TV ads funded by donors whose names didn’t have to be disclosed. There could be additional untraceable spending in the Supreme Court races on both sides. In 2014, there were also two seats on the Supreme Court on the ballot. That time around, the GOP nominees had a three-to-one money advantage. The Republican nominees had about $7.6 million on their side while the Democratic nominees had about $2.7 million on their side.